We are a large training General Practice with three surgeries, providing a range of primary healthcare services to over 19,000 patients living in Otley, Bramhope, Pool and surrounding areas. This website provides useful information about us and how to access our services in the most appropriate way for your needs. If you need medical attention please call 111. Should you need urgent medical attention please call 999. We are happy to announce that it is now a year since we launched the Leg Club. It has been an exciting and busy year for us. Public Health England is advising the public to ensure they have had 2 doses of MMR vaccine after outbreaks of measles are confirmed across England. We are bringing this to your attention as we encourage our patients to have the MMR vaccine. You can find more information and advice about the measles outbreaks accross England on the Nhs website and also in the media. Please speak to a Practice Nurse if you need any further advice. Please help the NHS to use the resources sensibly. You can find more information here and here. The Practice is always looking for ways to simplify your engagement with us. We encourage you to register for our Online Services which will enable you to book and cancel appointments, order repeat prescriptions and handle additional tasks without having to call us or wait in a queue. The NHS App will be launched in early 2019 and make this even easier. We would also ask you to provide us with up-to-date mobile phone numbers and email addresses, so that you can receive free text messages regarding your appointments, medical reviews and vaccinations, and changes to our services. Pharmacies in our area offer the Pharmacy First service. If you have a common minor ailment, please visit your local pharmacist for treatment with over-the-counter medication rather than booking an appointment with the surgery. If the practice is closed and you have an urgent (but non-emergency) medical concern, you can seek help via NHS 111. 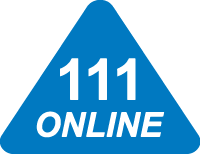 This service is available 24 hours a day, 365 days a year and can be accessed either online or by calling 111. NHS 111 will assess your need, give you advice and direct you to the local service that can best help you.